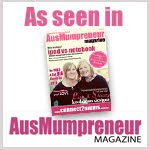 This article is 778 words and will take you less than 2 minutes to read. From the team at Anti Chaos Systems we wish you a joyous, festive and blessed Christmas season and a wonderful year 2010 realizing your dreams! Wednesday 22 December 2009, From my Michelago desk, watching bushfires burn! New Year’s is traditionally a time when we make a list of “resolutions” that we want to achieve in the coming year. Do you have your list for 2009? Did you achieve some, all or none of your list? Or have you given up on making resolutions so you don’t need to worry about failing? 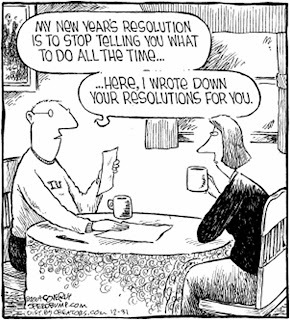 Or has someone else set your resolutions for you like in this cartoon? Google New Year’s Resolutions and there are 2 million web sites promising to help you keep that resolution. Yet many people fail to keep a single resolution. Why is this? 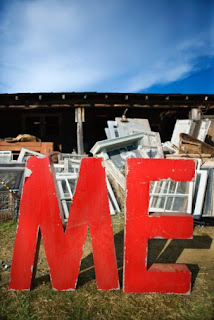 Why do our good intentions fizzle out? New Year’s resolutions are like to-do lists. On their own they do not work. This missing ingredient is MOTIVATION! How can you get a stay motivated to achieve your resolutions? You MUST have an inspiring, powerful, emotionally intense reason WHY. And those Reasons must align with WHO you are. Often we make resolutions because we think we should. We are driven by obligation, duty, fashion, politics or other people. None of these are going to be long lasting motivators. What you want to find is a deep emotional driver from within yourself, something that is going to “turn you on” for a long time! The most common resolutions include, lose weight, manage debt, get a better job, quit smoking, drink less alcohol, reduce stress. These are good goals but don’t make them if you don’t have the motivating, inspiring why. Empty promises, like unfulfilled resolutions can sap your confidence and undermine your progress. Here’s something to ponder, make ONLY ONE commitment – to take time to make your resolutions carefully. Write a list of a few (say 5) resolutions. Write 5 reasons why for each resolution. Describe the feelings you want. Take time, reflect, dig deep within yourself. Then think about how does each resolution create the person you want to be? What is required emotionally for you to achieve this? What must you discard in your thoughts, feelings, actions? Connect with your spirit as you visualize yourself achieving this goal. Intensely feel the emotions, these are your motivators! The stronger you feel, the easier it will be to achieve your resolutions! When you get waylaid, just repeat the exercise, it is mental exercise, no sweat involved! And the more you exercise, the stronger your mental attitude gets. I have a friend who each year spends two days camped by the river doing this exercise. My friend is wise and knows that this solitary time of reflection and introspection will create a better future and she dedicates the time fitting for the task. She always comes back, suntanned and inspired! And her family are always pleased to see her back because she is happy and positive. Often we get caught up in the busyness of life. Contemplative time becomes a victim, yet it is this thinking time that can save us from stress and it’s multitude of related modern diseases. Take time for yourself and think though the WHY’s that will motivate you to succeed. A lot of people baulk from doing this exercise because it sounds like hard work, but when you get started, it is FUN. It’s like being a kid in the toy store before Christmas and being told, you can have anything you want How good would that feel? All of this process is very easy in 4me2realize, because the software systematically walks you through it and not just on New Year’s Eve but every day you use it, making your chances of success even better. Perhaps you should make it your New Year’s resolution to try this software. P.s. We are going to take a break over Christmas. So I will write again in the new year. Looking forward to talking with you then.